Getting around in Washington DC in a car is not advisable. The streets are clogged with traffic and the traffic signs can be confusing. If you want to avoid the headache, it is better to take advantage of the public transportation system of the city. If this is your first time, then there are plenty of options for you to select from in order to tour the district. * Via airplane – Washington DC can be accessed through three major airports. These airports are within the distant proximity of the state. These are Ronald Reagan National, Dulles, and Baltimore Washington International. * Via Car rental -Car rental counters can be found in the airport. You can hire them on the spot to take you to the city. Some can serve you as a guide too. * Subway – Locals call this as a Metro. 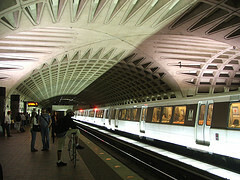 It is part of Washington Metropolitan Area Transit Authority. This mode of transportation is considered safe, clean and efficient. The rail cars are fully carpeted with comfortable seats. The subway system has five rail lines in colors red, yellow, blue, green and orange. The entrances to railways are marked with the letter M. Colored stripes indicate where it would lead. There are easy to read maps that are displayed in and outside the stations. Metro cards can be purchased at the machines located inside the railway stations. You can avail of one-day passes too. Georgetown and Adams Morgan are the two places left off by the subway system. During weekdays, it opens around 5 am while on weekends its around 7 am. * Bus – Locals refer to the bus system as Metrobus. This is an extensive system with thousands of stops and covers hundreds of routes. It even connects to Maryland and Virginia. The metro bus schedules vary depending on routes. 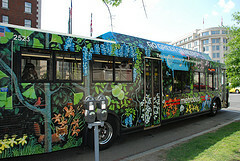 * DC Circulator – This is a bus primarily intended for visitors. It connects major tourist attractions and different parts of the town. * Via Taxicabs – There are plenty of taxicabs circling around the district. It is not that expensive. Charges are based on the zone maps posted on the cab. If you are concerned about being tricked, ask the driver for a receipt upon boarding. It might be hard to calculate so it is best to ask the driver for estimate. When riding, it is best to bring change. Your money should not be larger than a 20-dollar bill. * Via foot – The city is walking city. There are lot of sidewalks and sights. It is ideal for walking.